A toucan can thank the marvels of 3-D printing for a life-changing procedure. 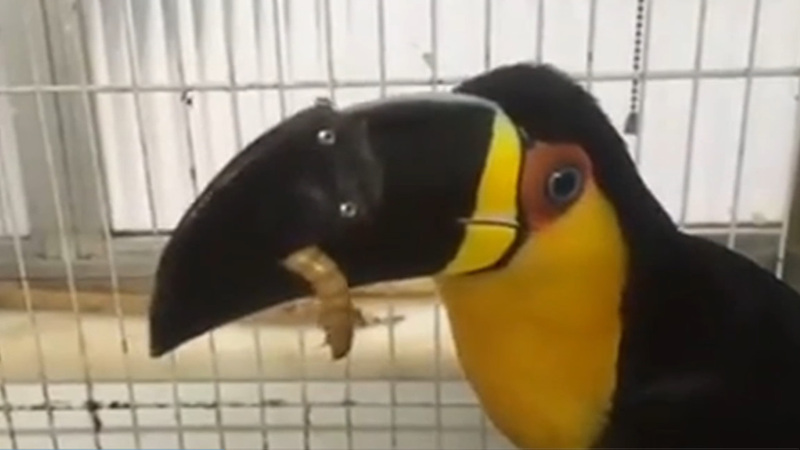 It's not clear how the bird named Tieta lost the upper part of her beak, but veterinarians at a Brazilian wildlife group used a 3-D printer to fabricate a replacement beak out of plastic. This video shows how their three-month design project is paying off. The toucan took only three days to get used to the prosthetic. Tieta is already using it to munch on maggots and cockroaches, which are staples in her diet.